These sheets are great. Soft, comfortable, able to fit our very deep mattress, and with the elastic “fit” technology they actually stay in place on our bed. Over several washes they haven’t pilled, and are even softer than the first time we put them on the bed. We’ve struggled with sheets, mostly due to me being so restless and having trouble sleeping in general. Over time we’ve gone through quite a few different varieties. 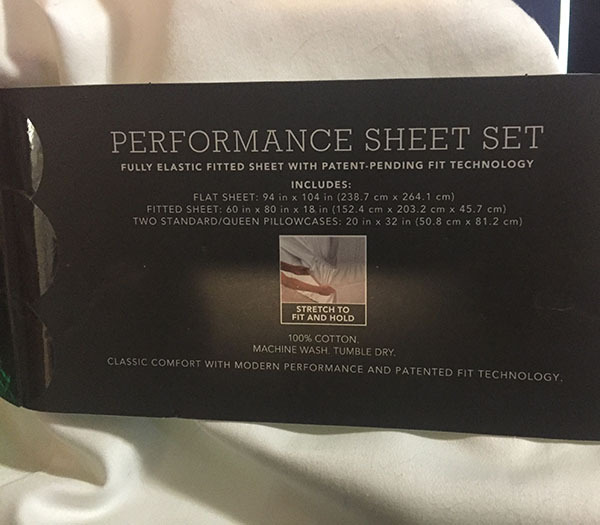 There was one point in time we had these fantastic silky feeling awesome sheets (which I eventually wore out), and we’ve been on the search for something similar ever since. This story is fairly mundane. We were in the USA, and stopped at a Target on our way back home. We always try to do clothes and linen shopping south of the border since everything is so much cheaper. Not exactly wrinkle proof, maybe resistant? We were in luck this time, as we usually are, there was a great sale on linens and we got these at half price off the sticker, which was around $100 if I remember correctly. 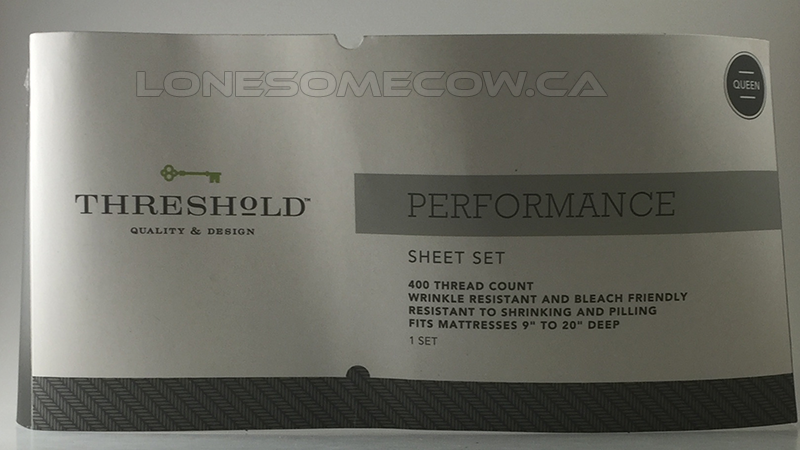 They are more than worth the price – considering similar sheets are around $250 here in Canada. These sheets, while not quite as silky as those ideal ones, are very close – they are smooth, cool, very comfortable, and nice to snuggle with. 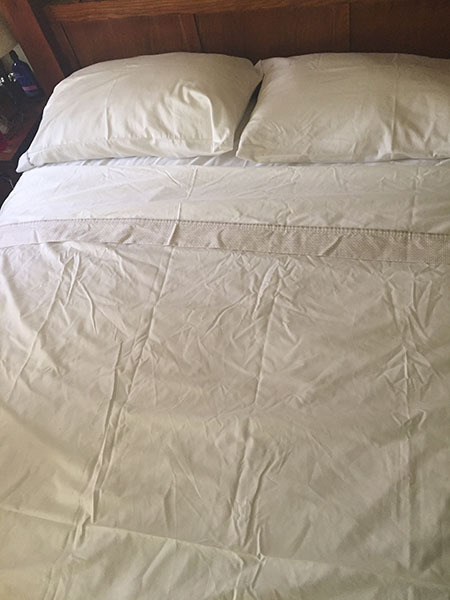 They also have an elastic band in the corners and around the bottom of the fitted sheet, The bands in the corners keep them tightly pressed to the bed and in place, and the elastic helps keep the sheet settled all around. I haven’t managed to wrestle them off the bed yet. They are a great addition to our linen closet. Katie says she would “buy all the sheets” – which is high praise.